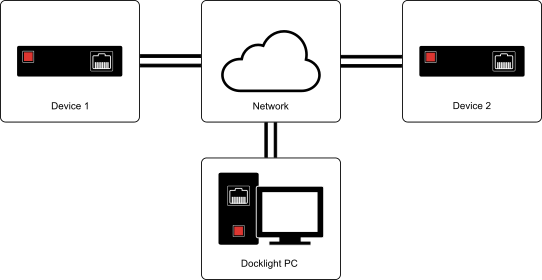 Simulating application layer protocols Using Docklight Scripting as an IoT terminal you can send out user-defined sequences according to the protocol used and it can react to incoming sequences. Developers of a server application can use Docklight Scripting as a test client. All communication data can be logged using two different file formats: use plain text format for fast logging and storing huge amounts of data. Or create a HTML file with styled text that lets you easily distinguish between incoming and outgoing data or additional information. 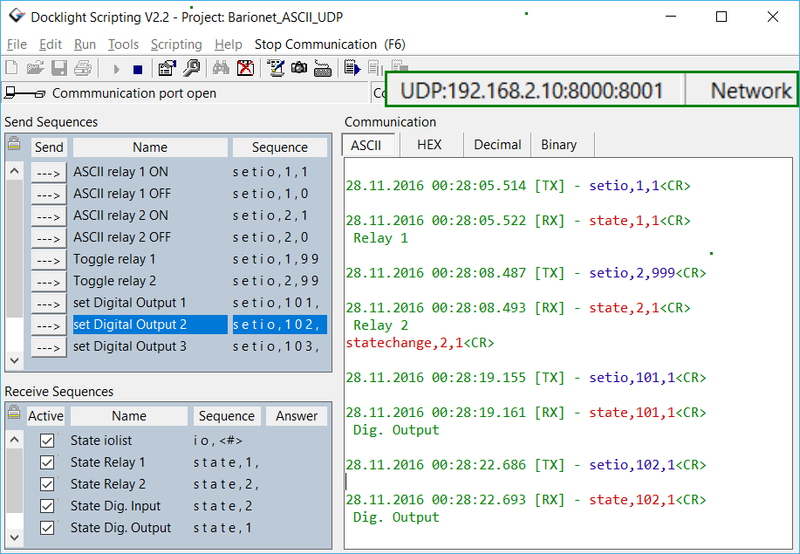 The screenshot on the left shows a MODBUS TCP session between Docklight and a Barionet network automation controller. Detecting specific data sequences In many test cases you will need to check for a specific sequence within the logged data that indicates a certain condition. With Docklight Scripting as your IoT terminal you can manage a list of such data sequences and Docklight is able to perform user-defined actions after detecting a sequence, e.g. inserting additional command descriptions as shown in the UDP communication example on the right. 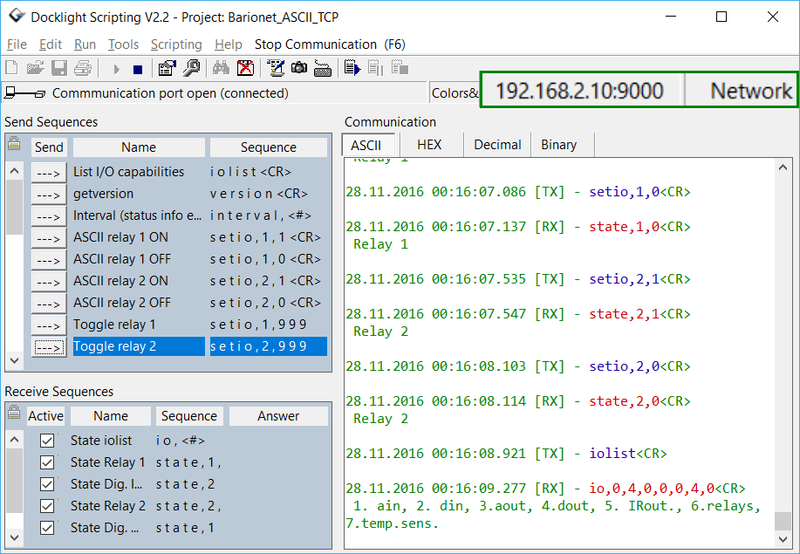 With Docklight Scripting as your IoT terminal you can monitor and debug a TCP-based application with the same ease as when using RS232 ports and cables. Please note that Docklight Scripting is not a network protocol analyzer. It works on the application layer only, acting as a client or server within a network. 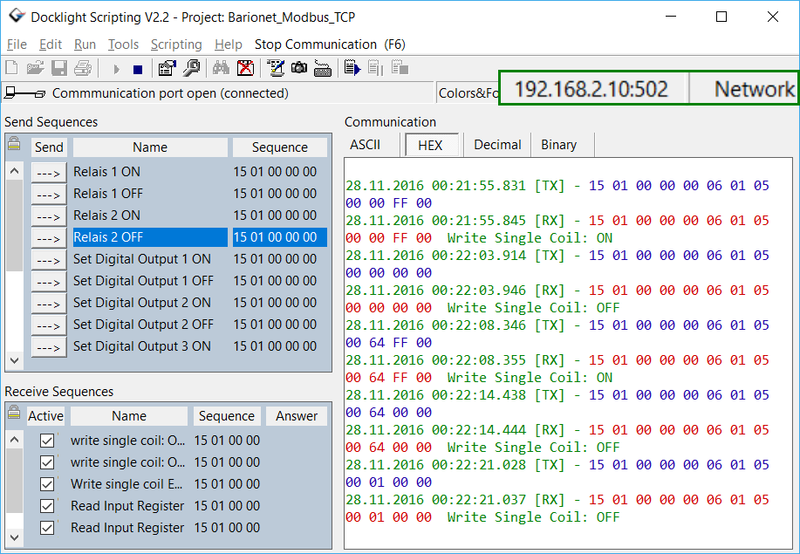 It is NOT a troubleshooting tool for network problems, like the well known Wireshark® (Ethereal®) network protocol analyzer.